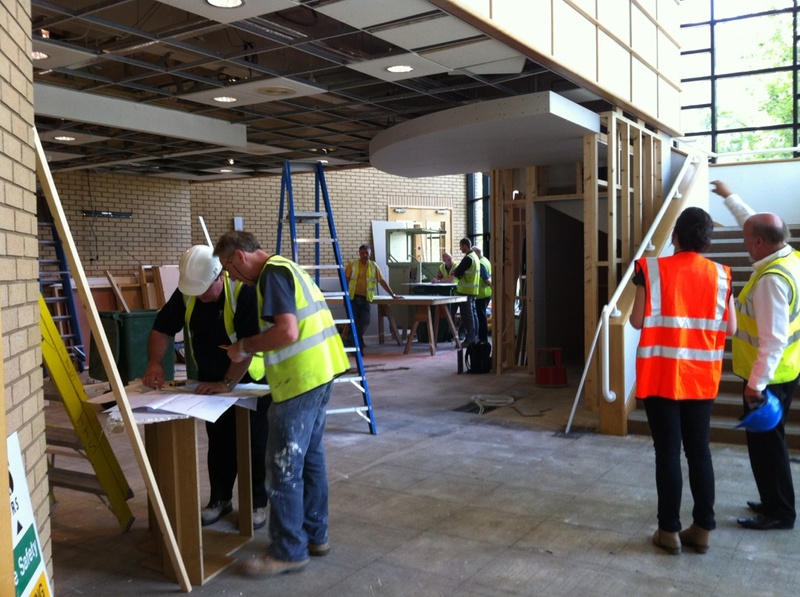 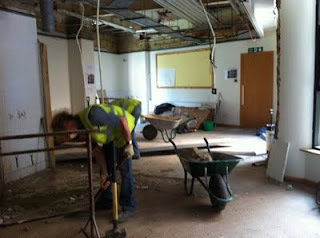 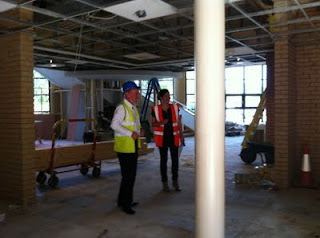 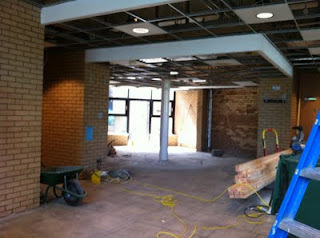 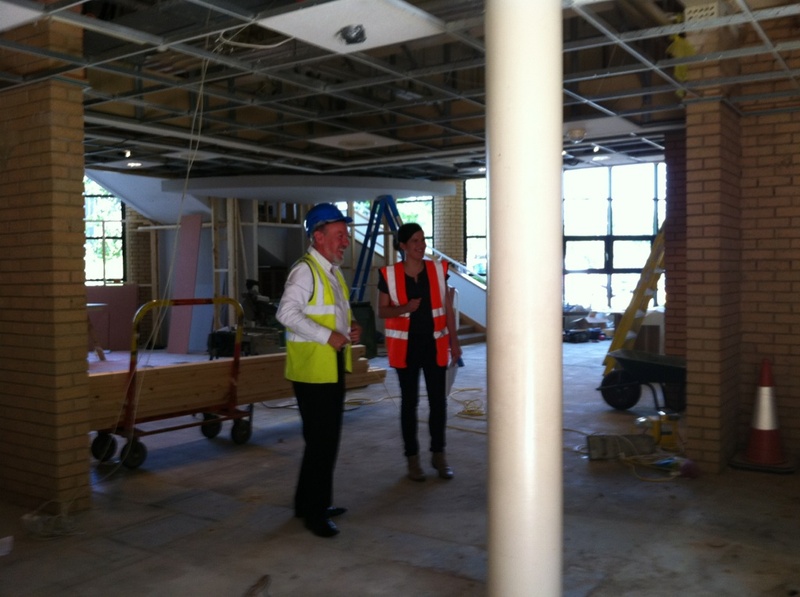 I thought you might enjoy these photos of the reception works in progress. 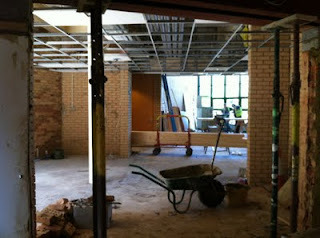 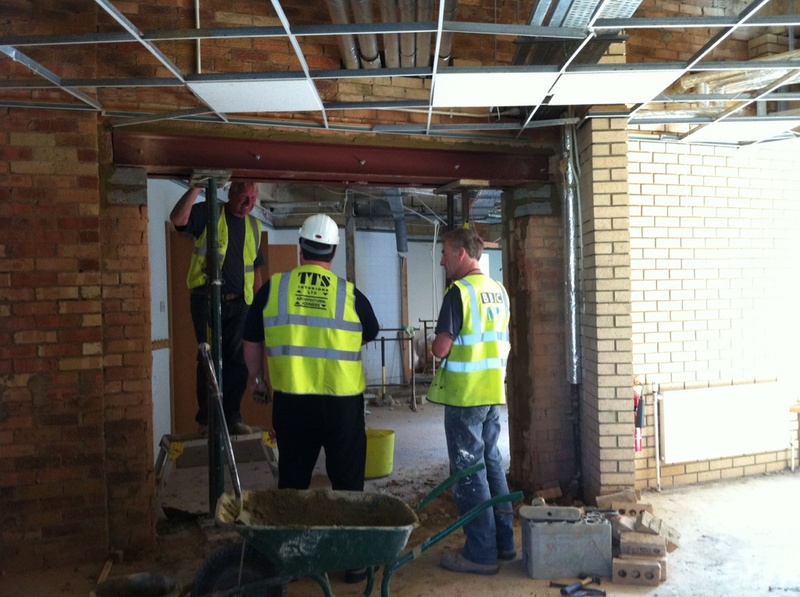 You can already see it starting to take shape with the building of the new reception area starting. 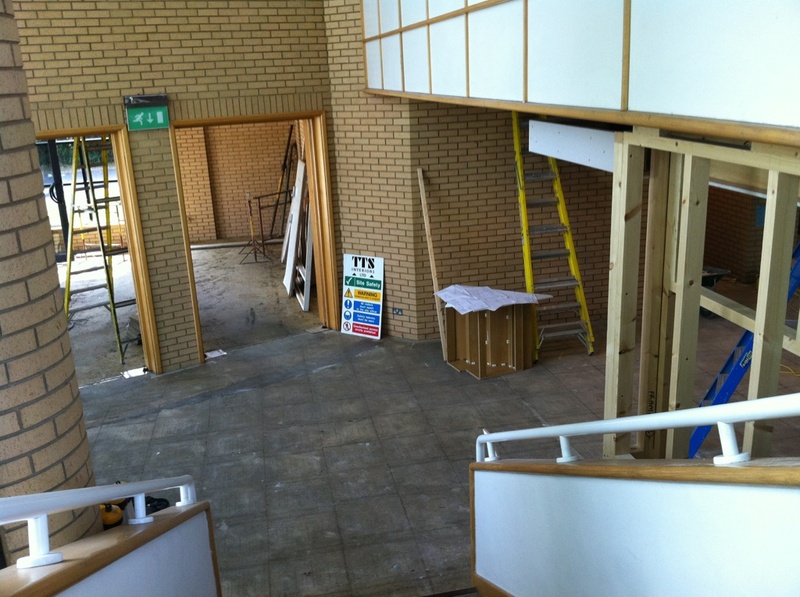 A prize to anyone who can work out where each of the photos was taken from - some of the views are through what used to be walls, which makes it all the more confusing! 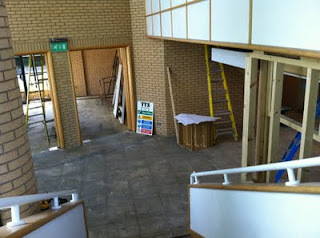 These photos were taken by Penny Lander on Thursday as she met with the site manager to review progress - more should have been done by the time we get to see it on Sunday.